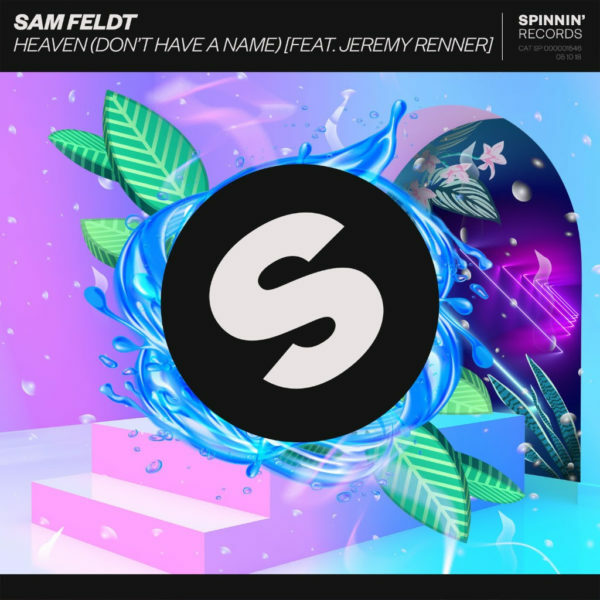 Sam Feldt is always on the hunt for interesting new collaborators to bring into his world of gorgeous melodies and grooves, and on new single Heaven (Don’t Have A Name) he unexpectedly turns to Hollywood for inspiration. Co-written and sung by Jeremy Renner, who is famous for his Oscar-nominations as Best Actor in The Hurt Locker andBest Supporting Actor in The Town, shows here with this record that there’s more to him than meets the eye. Renner brings his ability to convey emotions through his acting into a dramatic, heartfelt performance on this achingly beautiful song. His yearning vocals begin over sorrowful piano chords and pads, with an epic ‘80s ballad feel to it that shows yet more diversity in Feldt’s ever-impressive catalogue. The powerful bridge and chorus lift the track further until we’re unexpectedly dropped into a buzzing future pop section. The contrast is powerful, classy and cinematic, making for one of Feldt’s most stunning compositions to date. Jeremy Renner also featured in films such as The Avengers and S.W.A.T., but not many people know that music was his first love before acting. He played drums in high school and also plays guitar and keyboard as well as singing, songwriting and producing. He has performed songs on several movie soundtracks, and also featured in music videos including P!nk’s Trouble and Brother Sal’s Scenes On Sunset. Sam Feldt is fully back in the swing of things after his accident earlier this summer which sadly forced him to cancel a series of shows.